Ragnar Hayn was born in Berlin-Wilmersdorf in 1978 and attended a grammar school with a special emphasis on music, located in Hamburg-Blankenese. He grew up in a family of artists, sculptors and ballet dancers, began taking piano lessons at the age of six, and started playing the cello when he was ten. 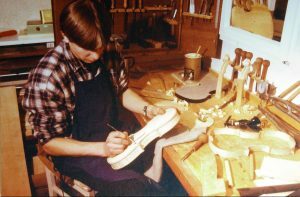 At the age of 12, he took up a serious interest in violin making—and made his first instrument. 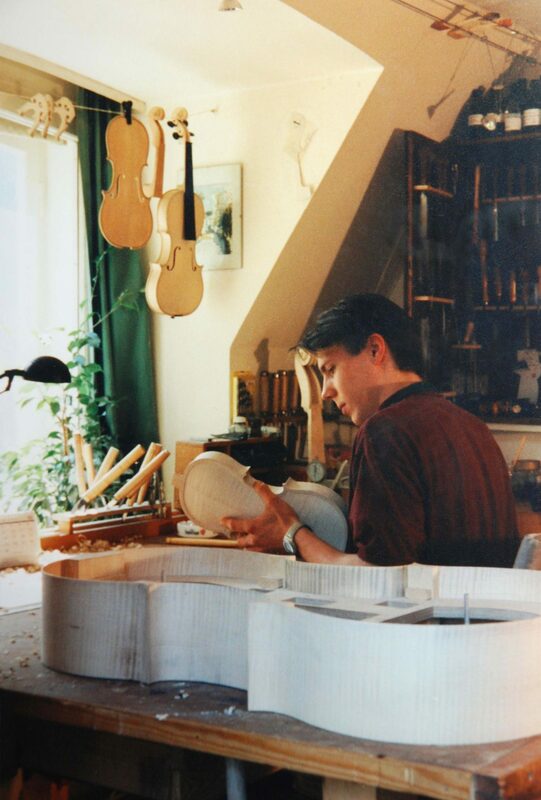 During the summer holidays at the age of 16, Ragnar completed an internship in Mittenwald, a Bavarian town with a long history in the manufacture of violins, violas and celli. He continued to work on new instruments in the years to follow, so that by the time his training started, he had already made a complete string quartet. Dedicated to learning the trade professionally, he studied at the renowned Newark School of Violin Making in England from 1998 to 2001. At the end of his training, he took part in international competitions to much success. Hayn completed his final examinations and earned a distinction for outstanding achievements. 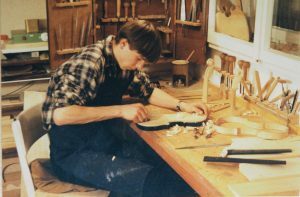 Ragnar Hayn returned to Berlin soon after, devoting four years to studying the restoration of historic stringed instruments. He embraced this opportunity to explore and become deeply knowledgeable of the style and material aspects of high-quality historic instruments. The insights and valuable experience gained in the process would later be incorporated into his craftsmanship. 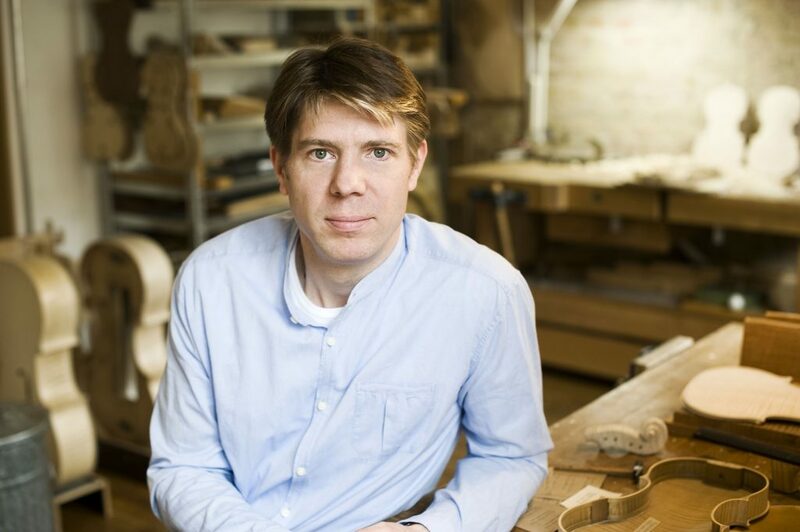 In 2005, Ragnar Hayn founded his own workshop in Berlin. In the following years he also won numerous awards at international competitions. His commitment is focused on developing a highly diverse variety of models, exploring a broad range of bodies and exploring the individual qualities of the different past Italian masters—be it Stradivari, Goffriller, Montagnana or del Gesù. He works in continuous collaboration with experienced artists who typically have years of concert experience playing historic Italian instruments. Ragnar Hayn has made 160 instruments—including 50 celli—and can take pleasure in knowing that numerous excellent musicians perform using his instruments. Ragnar Hayn concentrates on the three-dimensionality of sound and how sound is carried in the concert hall. The nature of the tonewood is crucial in this regard, which is why Hayn is always searching for materials possessing the very best quality, as the latter is the basis for excellent sound. The sound an instrument makes, however, depends just as much on the musician who plays it. The body of the instrument has to suit the musician playing it. Ragnar Hayn thus develops a unique concept drawing on in-depth conversations with the artist, ultimately resulting in the manufacturing of an instrument that fits the musician like a tailor-made suit. Ragnar Hayn attaches great importance to the fact that he personally carries out the most acoustically important and stylistically decisive work on every instrument. Each individual instrument thus bears his signature, marking a guarantee of consistently high quality.